Neymar has been unveiled by new club Paris Saint-Germain following his £198million move, saying he wanted a 'new challenge'. The Brazilian striker has swapped Barcelona for Paris in a world record smashing deal, and has signed a £500,000-a-week, five year contract. He said he had not been sure over his future for a long time, but had been convinced by the other Brazilian players at PSG and was looking forward to the challenge. He also said he had not moved in order to be the biggest star at the club. At a press conference held on Friday, Neymar said: ‘The club has a very similar ambition to mine, I want a bigger challenge. My heart made this decision, that is why I am in front of you today to help this team. 'I spoke with Brazilian players here at PSG, and they were happy for me to be here. I feel like I am at home already. PSG owner Nasser Al-Khelaifi said their fans had been 'dreaming' about them signing Neymar, and played down concerns about the fee and the Financial Fair Play implications. 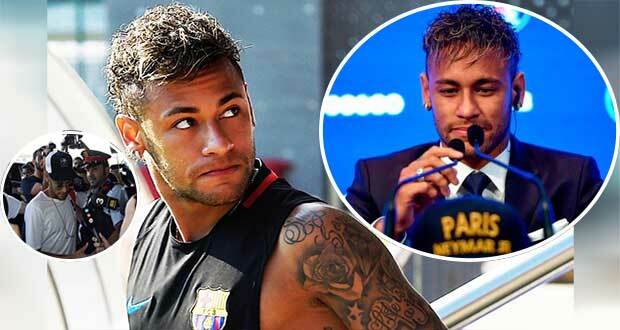 He said: 'Neymar is an idol for the whole world, for everyone who loves sport. As far as I am concerned Neymar is the best player in the whole world. 'Our supporters have always dreamed about Neymar, and today here he is. Our project has become stronger, and Ligue 1 becomes more interesting for the whole world. ‘Maybe today it is the most expensive, but will it be in two or three years? I don’t think it is too expensive. We are going to make more money than we paid. 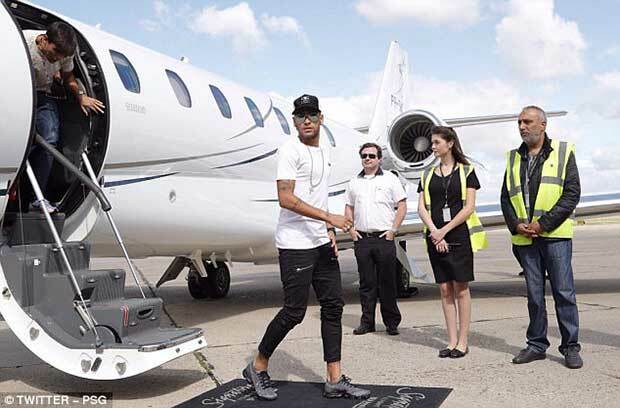 \Neymar was unveiled in a lunchtime press conference in Paris, and was earlier greeted on the La Bourget airport tarmac by recently retired PSG left back and Brazil international Maxwell, now an ambassador for the club, after flying in from Spain.